So ok I learned something new – happens a lot – but then I also got to thinking – as I mentioned yesterday JSON.parse and JSON.stringify are so ubiquitous I decided to write some code to minic the coding standard in SSJS. This code serves zero purpose other than to make the usage of JSON consistent between SSJS and CSJS. It is a short version of what I wrote about yesterday and does not require the addition of the json2.js to the database. Douglas Crockford was very concerned about using eval() to convert strings to objects and so he created json2.js which can be found here https://github.com/douglascrockford/JSON-js/blob/master/json2.js. If you look at the code there is a huge RegEx in the middle of it which purposefully ensures that there is no dangerous code which the eval statement is run on. You should read the comments in the code – very insightful ! All browsers (IE8+) now support JSON.stringify or JSON.parse by default and we no longer need these functions to be added as an external library. I found however that XPages SSJS does not seem to recognize the JSON object. So I added the json2.js code to an SSJS library and then added it as a resource within my XPage. And with this I am now able to take a string of text – convert it safely to a JSON object and then use as the source for my repeat control. This message was inspired by Tim’s Tripcony’s blog post. I love the idea of storing data as a JSON string inside of a single notes document field. This would move using Lotus Notes closer and closer to a modern NoSQL system, making applications more and more portable – love that idea. However – this renders searching by field useless – which is usually one of the requirements of an application. I am very happy to announce that I have been accepted to speak a second time at IBM Connect this year !! In this session I am going to quickly review some of the previously published EXTJS related items on the blog (apparently not everyone reads it) but more importantly I want to discuss user experience. If nothing else, I have learned over the last 18 months that not only is EXTJS very cool in loading thousands of notes documents into usable and functional web based grids, it also demands a serious serious respect and insight into the user experience. If your user’s are willing to wait many seconds to load thousands of documents they will not be willing to load thousands of documents again, and again, and again, as they go to view each individual document and go “uuurgh, not that one” and then reload the web page. Come and see the session, I promise it will be entertaining, there will be lots of demonstrations, stacks of free code and you will be able to relate to issues and requirements which you will have come across when modernizing IBM Notes applications. In this session Mark will demonstrate how the use of the EXTJS library can effectively meet the requirement to modernize large data applications without sacrificing user interface familiarity. EXTJS is the only grid framework with large data set optimization built in. Mark will discuss and provide working examples of how to manage large data sets and with it an exceptional user experience. You will learn how to display 1000s of documents through XPages in ways previously considered impossible. With user customizable features like REST service integration, categorization, sorting, searching, column totals, filtering, charting, exporting to excel and many more you can put the power of instant data management back into a web user’s hands. Discovering Page Audits in Chrome Dev tools – apparently I am bloated ! 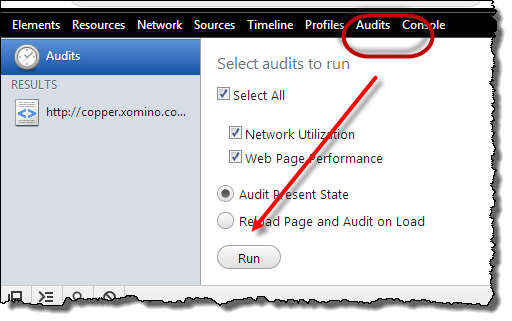 I came across a “tooling” presentation by Addy Osmani which is mostly not relevant to XPages development but in there I saw a nugget about Page auditing within Chrome Dev tools. I am staggered about what I found about the site I am working on site and apparently I need to learn more, quickly………. And then after running it – WOW…apparently I could be doing a better job in here….. I have no idea if I can do anything about some of these – but some I definitely can and if it makes for a faster website load time then it can only be a good thing. jQueryUI I can definitely make smaller because you can do custom builds of the functionality you need – I need drag and drop, sortable and accordion. Bootstrap – I think I am stuck with although according to the presentation grunt-uncss looks promising! Font-awesome – do I REALLY need it for 3 icons? Maybe I don’t now I look at it !! 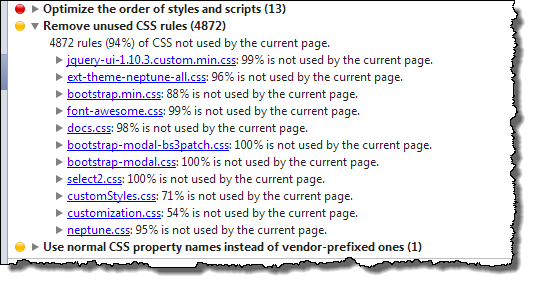 I could combine the CSS and JS files using XPages application properties – but it breaks when I do that. Some manual combining could be done. I will make some changes and post an update in a few days to see if there is a noticeable difference in page load speed. 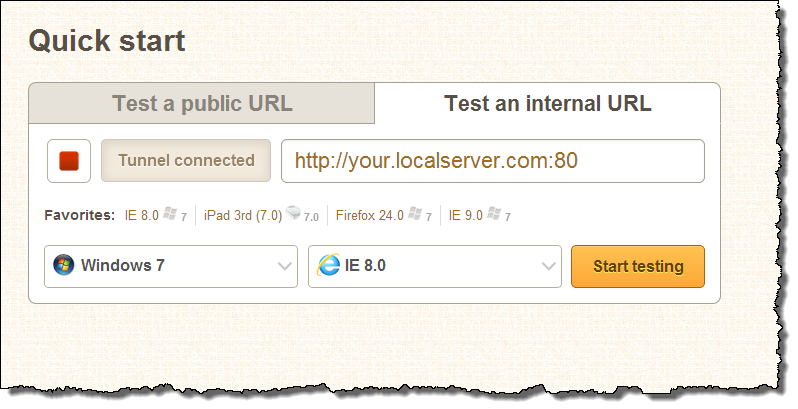 When developing I always have cache turned off anyway so I will be able to tell if the pages load faster.